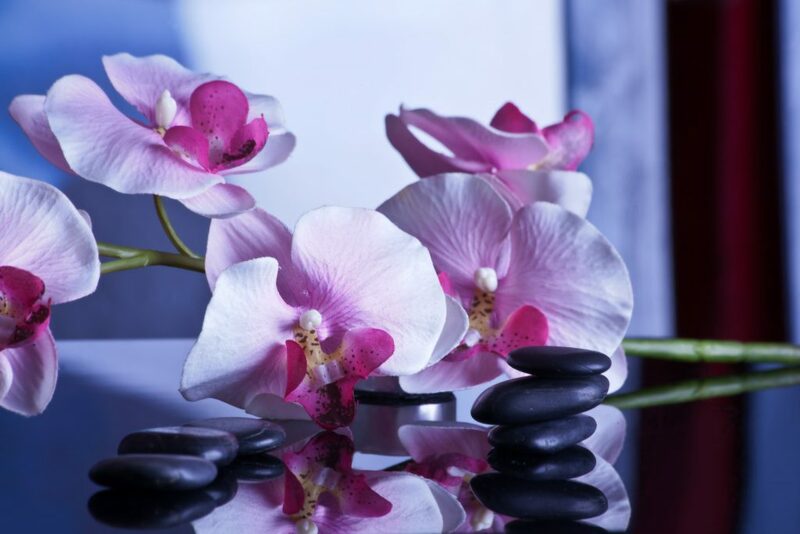 It is commonly believed that the origins of Hot Stone Massage has grown from Native American indigenous traditions. The alternate application of heated and chilled temperatures is known as Thermotherapy and was an integral part of Hippocrates beliefs. Stone Therapy Massage combines the use of hot and cold Basalt stones with traditional Swedish massage techniques to bring about deep relaxation and balance to the mind , body and spirit of the individual. The stone sits between the therapist’s hand and the client. The stones may also be placed in strategic positions on top and beneath the body to assist with the creating of a therapeutic and holistic effect. A deep state of relaxation occurs as the warmth from the heated stones soothes nerve endings. This encourages energy balance, a sense of nurturing and harmony. The heat from the stones benefit tired aching muscles by allowing for a deeper massage pressure and so assisting muscles to return to their normal state more readily. As the heat permeates throughout the body areas, blood supply increases and tissues are supplied with increased levels of oxygen and nutrients. A full body Stone Therapy massage can take up to 90 minutes depending upon the option selected. What Happens During a Stone Therapy Treatment? Based upon traditional Swedish massage techniques hot and cold Basalt stones are used to massage the client. The stones may also be positioned on top and beneath the body to help create a therapeutic and holistic effect. Hot stones taken directly from the water bath are never left directly on the client, only stones which have cooled can be placed on the client. One stroke with a heated Basalt stone is believed to be the equivalent to ten manual massage strokes, so results are achieved more quickly and efficiently.